Speaking to Vinay Madhav he said being out there with the people showed him what his father meant to Mandya and vice versa. He was moneyed, but identified with the common people and although in politics, never truly became a politician and as a film star, did not let his stardom go to his head. But the late actor/politician, M H Ambareesh did live life on a large-scale, and like a banyan tree, offered shelter to many. 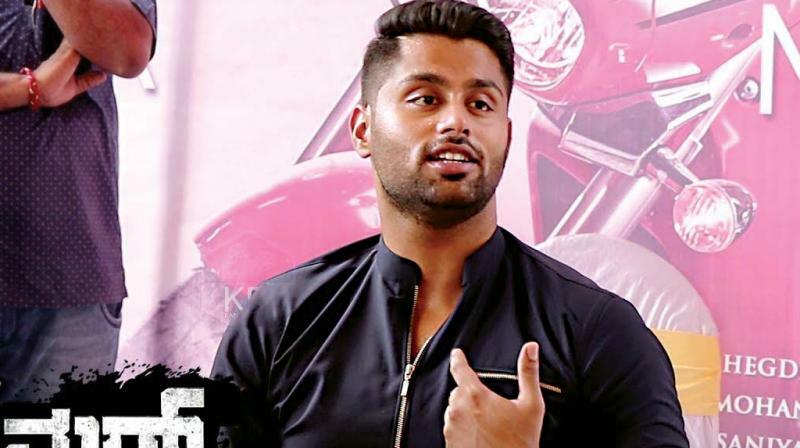 When he passed away some months ago, they were left bereft and among them was his 26-year-old son, Abhishek Gowda, who was trying to get a foothold in the film industry, a career his father had offered to support, but never promote, as he wanted to see his son shape his own future. Things changed quickly for the aspiring actor after his father's death as the people of Mandya made a beeline for his home, not just to sympathise with his mother, Sumalatha, but to persuade her to contest the Parlia-mentary elections from the constituency, Mr Ambareesh had represented in the Lok Sabha and where he was often referred to as "Mandyada Gandu" (Mandya's man). Local Congress workers, upset at the party parting with the constituency to the Janata Dal (S) as part of its pre-poll alliance, too joined the chorus. Ms Sumalatha's decision to take on the most powerful political family in the Vokkaliga heartland, the Deve Gowda clan, had its repercussions. Allegations were made, Ambareesh's contribution to Mandya questioned, and she was maligned. But standing beside her like a rock, Abhishek helped her weather the storm, managing Ms Sumalatha's campaign. What was your reaction when your mother decided to contest the Lok Sabha poll from Mandya ? Before my mother took the decision, it wasn't even on our minds. My father had passed away, and she was upset and in pain. People came to console her and then started saying that someone from our family should take my father's place. Initially, we did not understand. But slowly the pressure grew from the people of Mandya, and even Congress party workers. We then began to think if we could turn down the people's request. Finally, she had to make up her mind as my father was associated with Mandya for 25 years as a three- time MP and had won with a margin of over 50, 000 votes when he became MLA. I could have taken care of my mother with or without politics. But when the people asked her to contest, she could not refuse. What has been your best experience during campaigning? I didn't know what my father's contribution was to Mandya. He neither discussed it at home, nor advertised it. He just did it as a matter of routine. Wherever we go, people show us a temple, a community hall or a school building to tell us that my father built it. We come across so many such instances that it boosts our morale. I don't have to speak about my father's contribution to Mandya, the people tell me what they were. This is your first brush with politics and are being attacked from all directions. How are you coping? The day my mother decided to contest elections, we expected to be attacked. We had also expected that many of my father's friends would turn against us. But we thought it would be in a decent way and there would be political opposition. We didn't think that those who were even afraid to sit before my father, would make insensitive comments about him, my mother and my family. That was disgusting. They have the entire government behind them and my mother is contesting as an independent. We have not taken anything personally and nor are we here to demean anyone. When it comes to Mr Deve Gowda, my mother still treats him like her father. Mr Kumaraswamy used to call my father his `Anna' (big brother) and I still treat him like my uncle. I am at a loss as to why they are behaving like this. At personal level, I am hurt and feel they should not behave like that. What about the questions raised about your mother's caste? Any woman, who gets married in India, joins her husband's community. As a son, it was upsetting and frustrating to hear people talk about her like that when she had just lost her husband. She devoted 26 years of her life to my father. But I control myself as if I stoop to their level, there will be no difference between us. Were there any touching moments during your campaign? A: It happens every day. We come across people, who love me because I am Ambareesh's son. Yesterday, in K R Pet, I was on a roadshow when I realised that one visually impaired man was waiting for me. When I went to him, he said that my father was a good man and blessed me. In another village, a man who had lost his legs, tried to stand up when I approached. When I told him not to as I didn't deserve such respect, he said Mr Ambareesh was a great human being and he felt like respecting me too. Many people approach me and silently place a Rs 100, Rs 200 or Rs 500 note in my hand and ask me to use it for election expenses. In politics anything is possible. Have you decided what next, should your mother not be elected? A: Let's be positive. People's opinion is on our side and I am confident of my mother's victory. We have faith in democracy.